This is where your loyalty program comes to life. 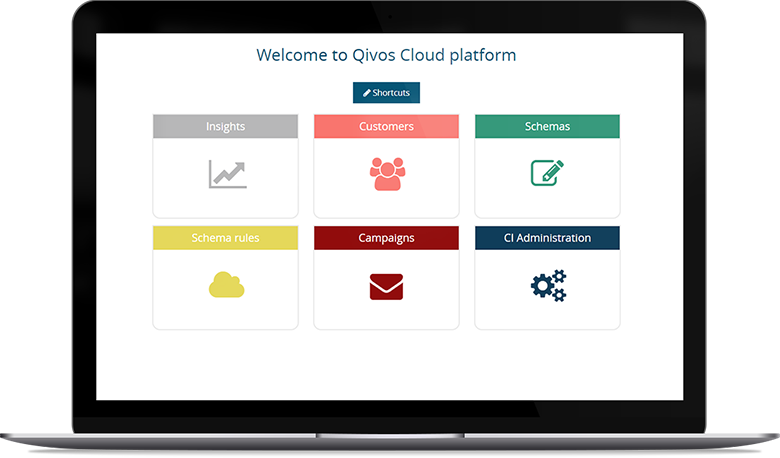 project management, and account management experts, implement the core characteristics and details of your loyalty program on our tailor-made technology solution, QIVOS CLOUD. We know what a demanding process the implementation of your loyalty program is, therefore we make sure that you set it right from the start. We set with extreme care all the loyalty rules and reward engines of your program and define all the processes for data acquisition and data quality. How will the members collect and redeem their points? Which products have discounts? When does the loyalty card expire?All these issues are managed during this stage through the loyalty rules, to guarantee an error-free operation. Do you have other channels such as microsites, mobile applications, and Facebook apps? Our innovative customer loyalty management platform guarantees full adaptability with other key systems, which means you can combine them all into one unified platform. We undertake the integration of all your systems and applications, so you can easily manage everything from one place. From the marketing concept to the programs’ marketing materials, we prepare everything you need to get ready and proceed to the next phase of the program; the launch. Our experienced team can fully design and develop all the essential marketing materials of the program; loyalty cards, welcome kits, communication kit in-store, T/C and more.